The Republican Red Tape Reduction Act, which stalled briefly on Wednesday because of a typo, hit another snag on Thursday: The measure to fix the error also contained a mistake. Democrats consented on the floor to fix the error, but only after pricking Republicans for the mistake. "I assume that flows from the fact that people didn't read the bill," Rep. Rob Andrews said. Republicans wanted nothing more than to move beyond debating the picayune question. "A mistake was made, and then attempting to correct the mistake an extra, minor mistake, another mistake was made. 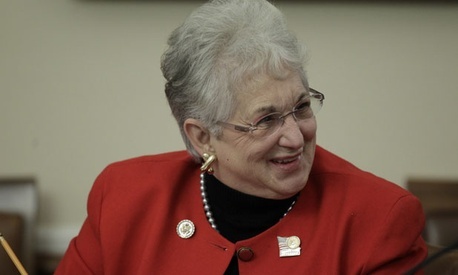 We are human beings," said Republican Rep. Virginia Foxx. The measure to correct the first mistake included a reference to House Resolution 783, which does not exist. The correct resolution is 738. A vote on the regulations bill is expected later on Thursday.